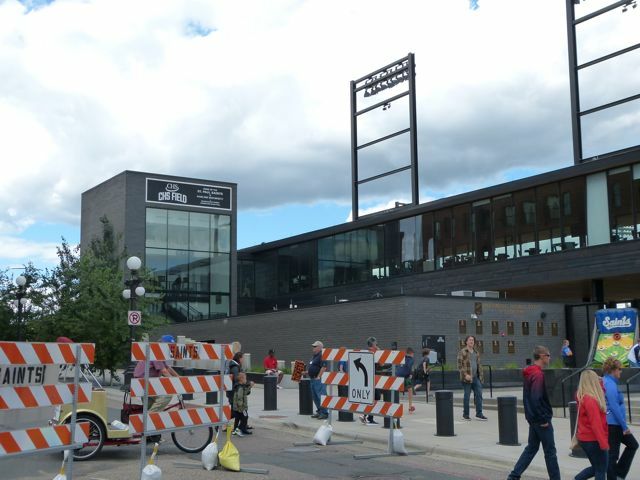 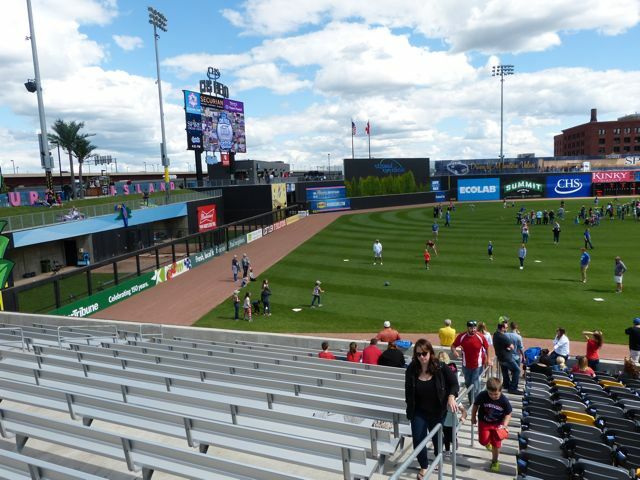 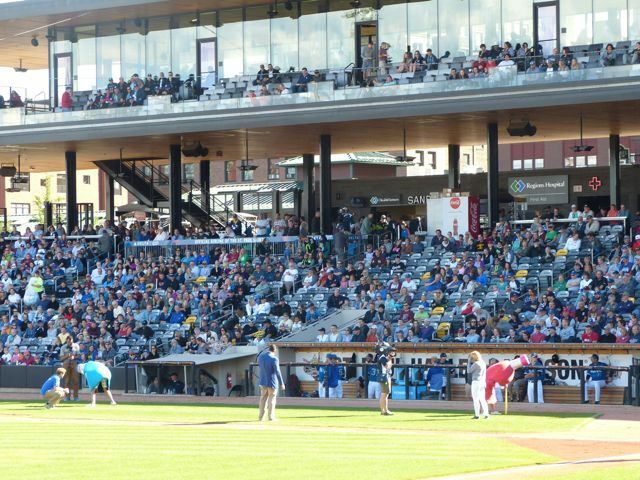 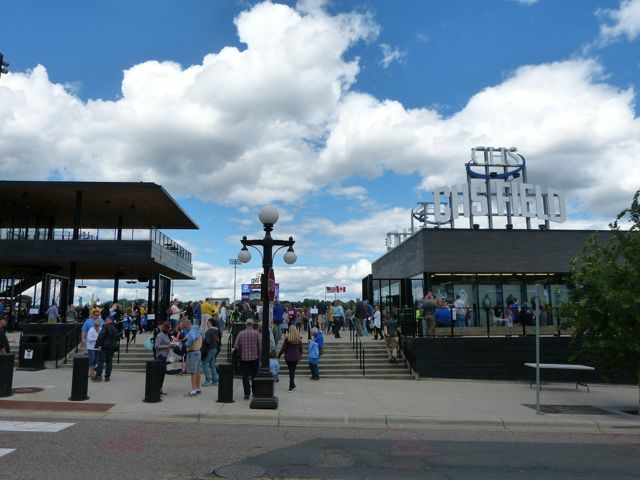 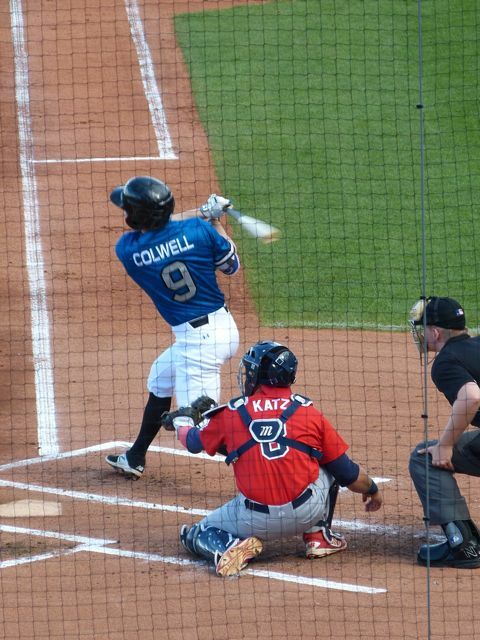 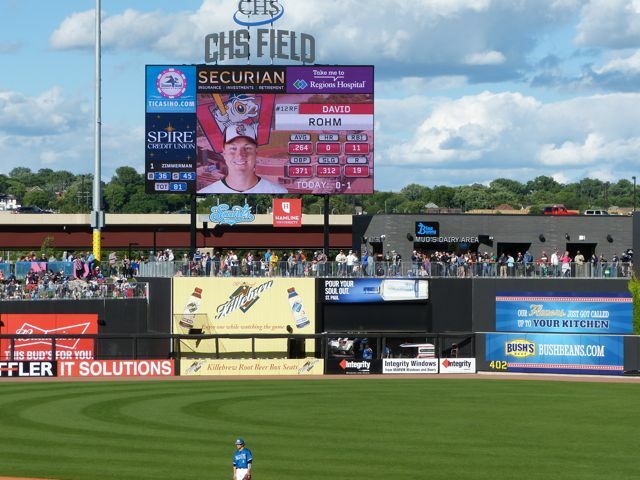 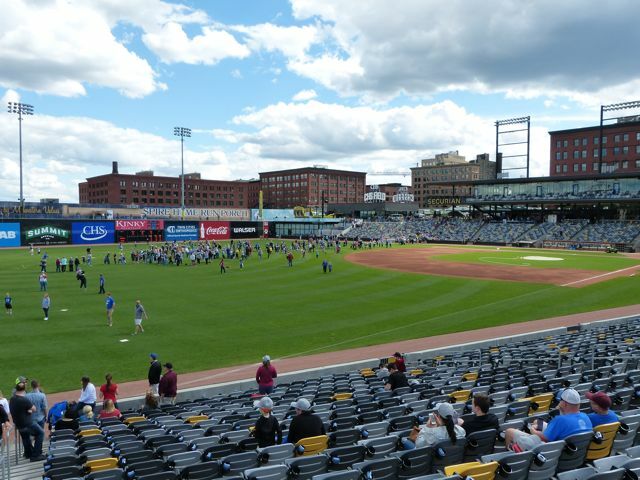 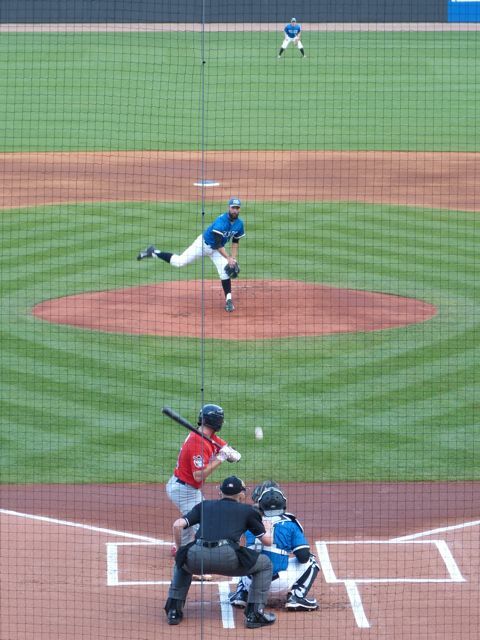 The St. Paul Saints, a member of the independent American Association, play at CHS Field, which was built in 2015 with a seating capacity of 7,210 in standard seats, grandstand seats with backs, and berm seating in left field above the bullpens. 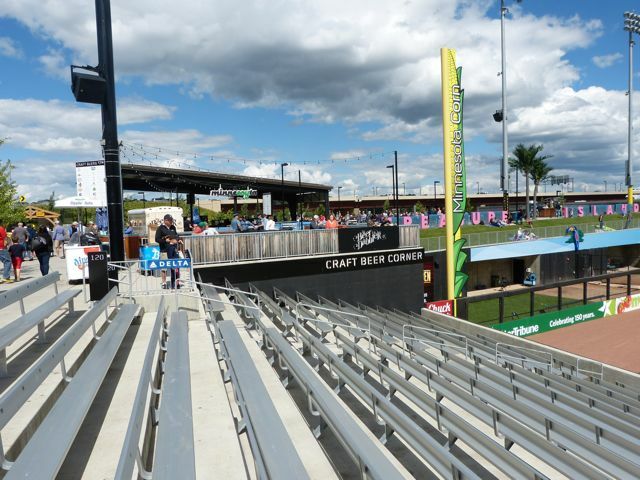 There are 7 suites on the 1st base side as well as a group area and a group area on the 3rd base upper level. 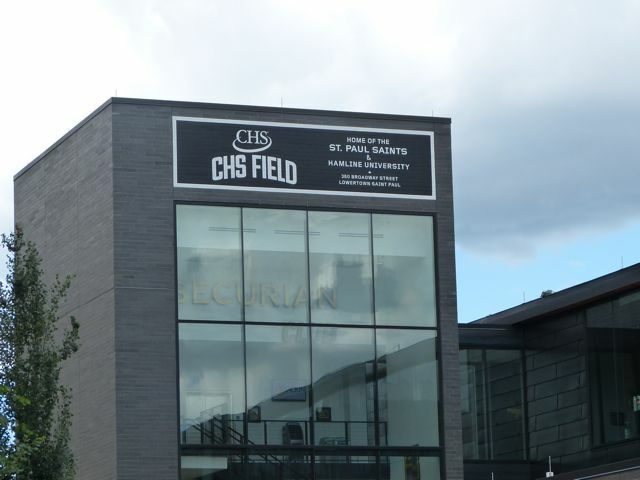 The field is shared with Hamline University. 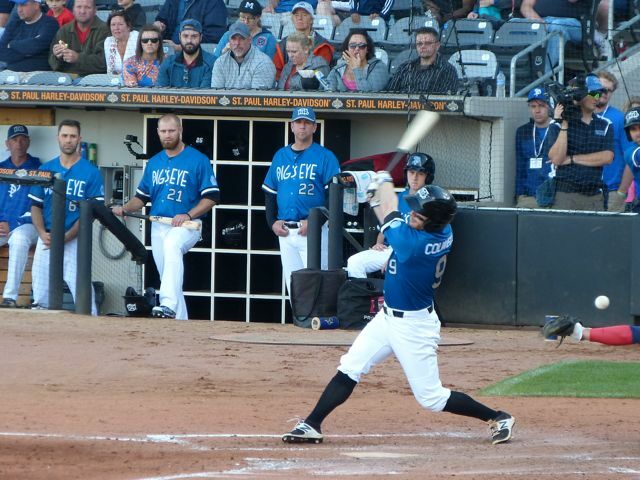 The Saints were playing the Winnipeg Goldeyes and won the game in the bottom of the 11th 5-4. 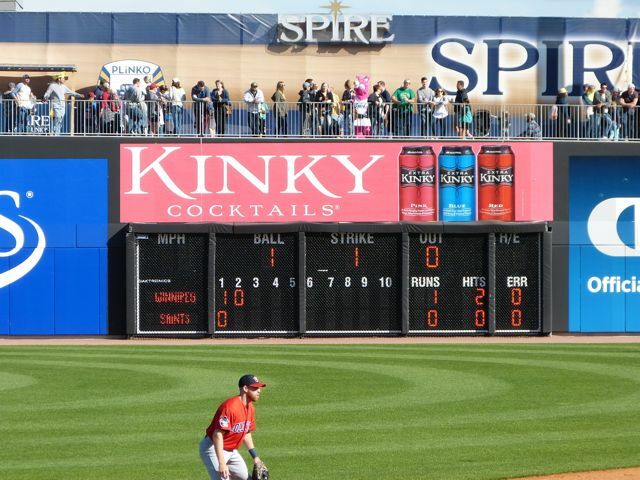 The box score was Goldeyes R-4, H-9, E-2 and Saints R-5, H-6, E-0. 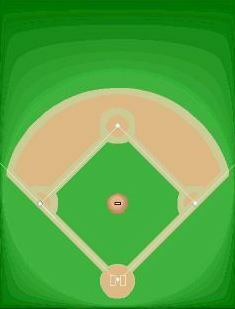 The field lines are RF- 320', CF-400'-402', LF-330'. 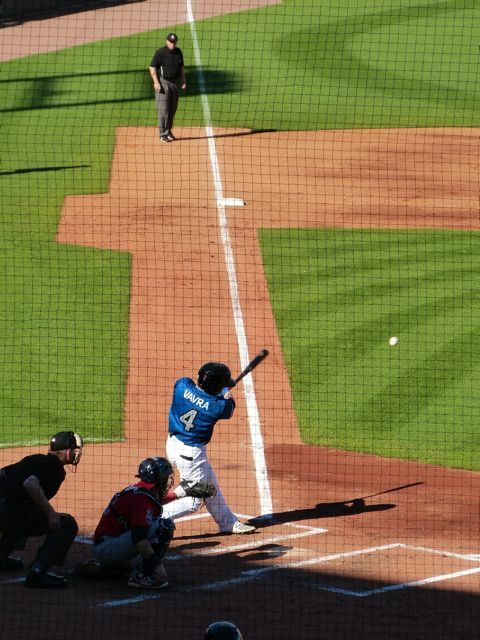 Saints player Tony Thomas hit an inside the park Home Run in the 5th inning. 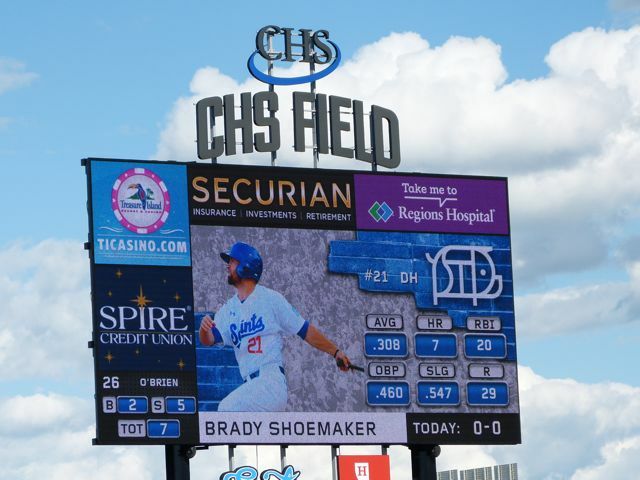 The video board gives player information and the scoreboard is at field level in right field. 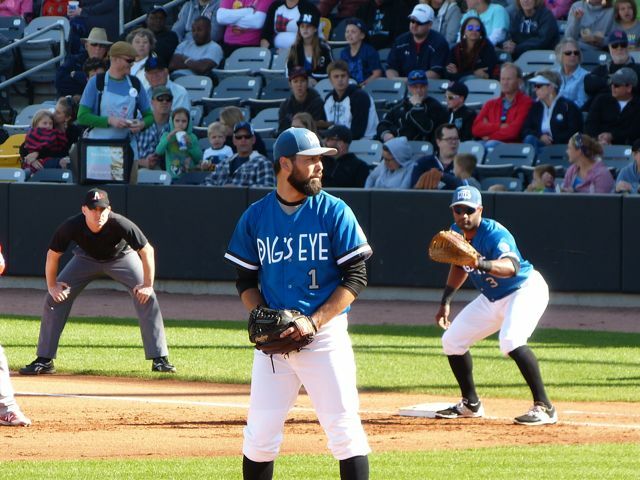 On the front of the Saints jersey is Pig's Eye. 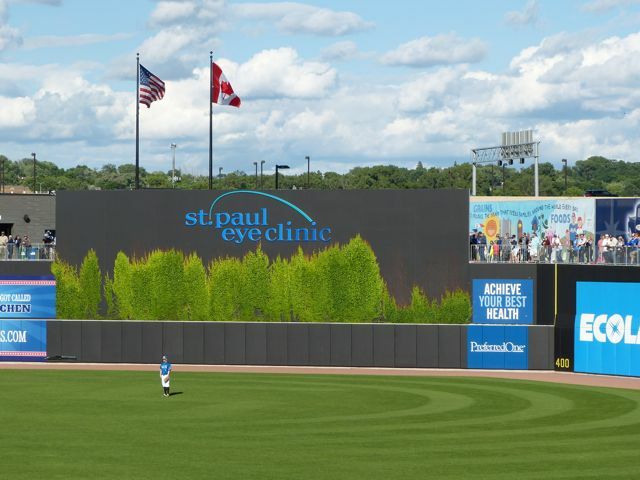 The batter's eye is center field has ivy growing on it. 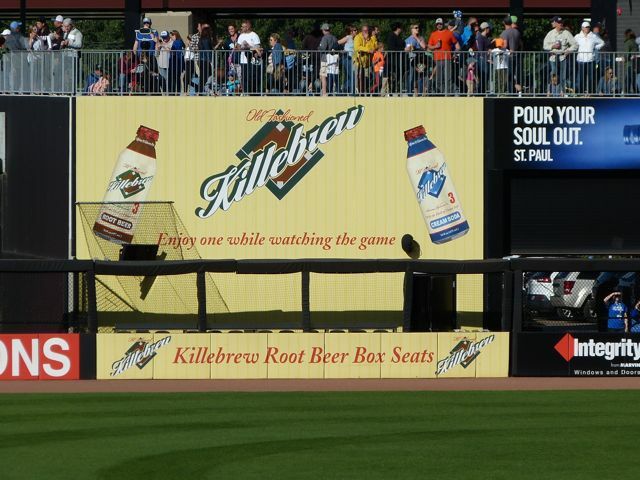 In left center field at field level is the Killebrew Root Beer Box Seats. 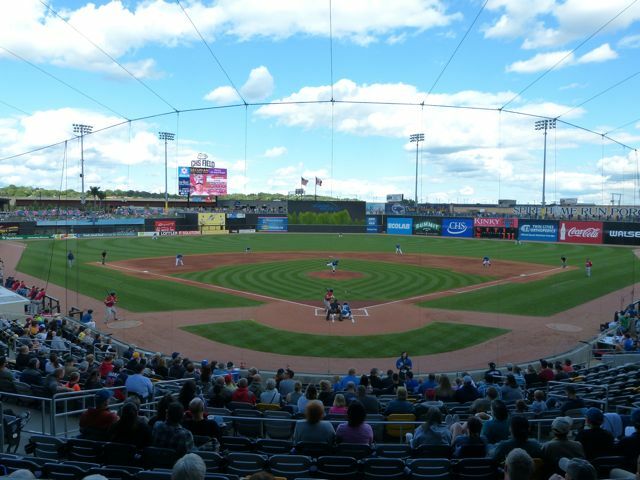 Major leaguer Harmon Killebrew was from this area and there is a root beer named for him. 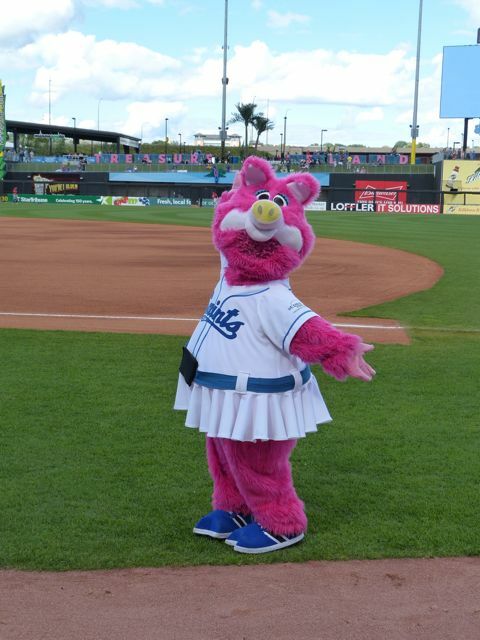 Mudonna is the mascot. 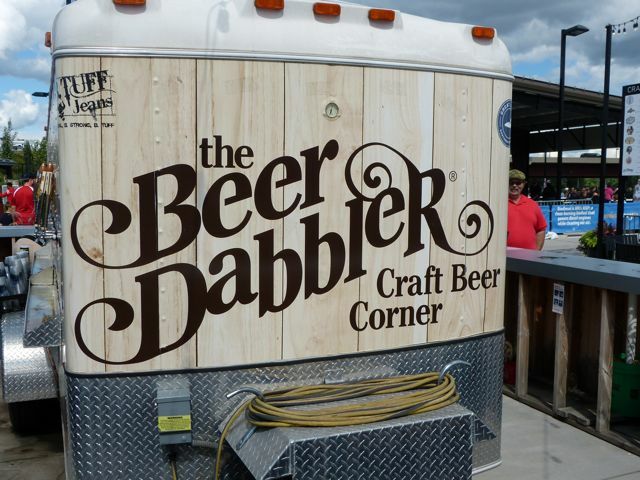 Down the 3rd baseline concourse is the Beer Dabbler. 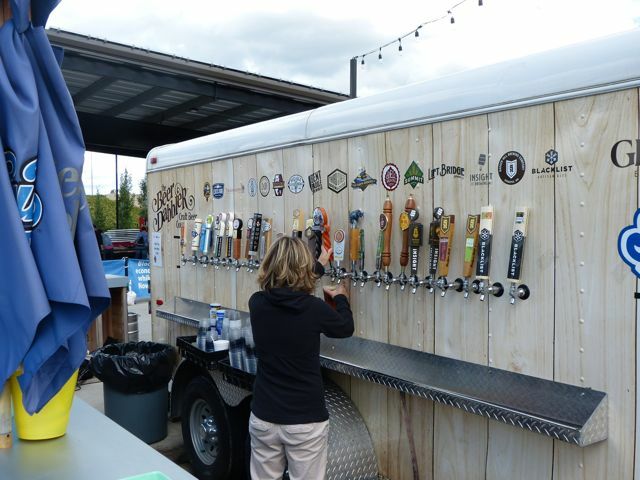 You can purchase 32 different craft beers at the stand. 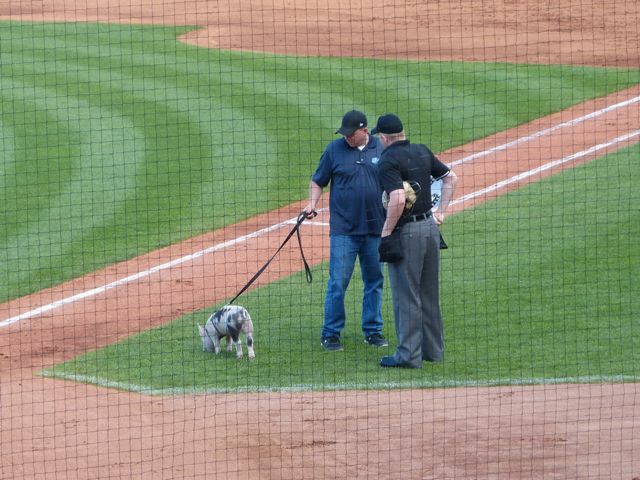 They have a pig who brings new baseballs out to the umpire between some innings There are more between inning activities here than any other park we have visited. 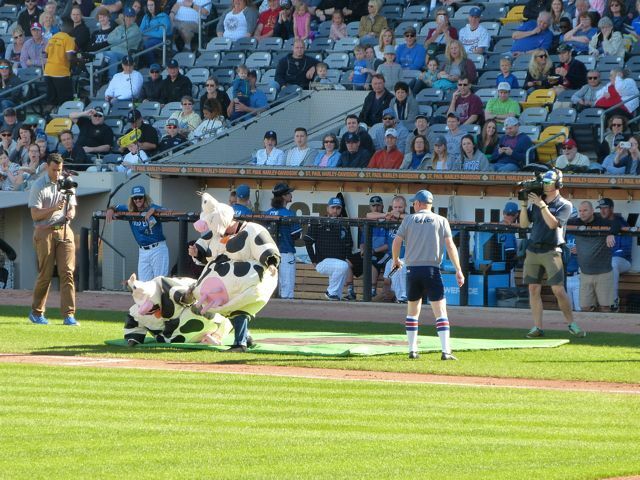 There is a roll the tire race from 3rd base to 1st base and Sumo wrestling between two guys dressed as cows. 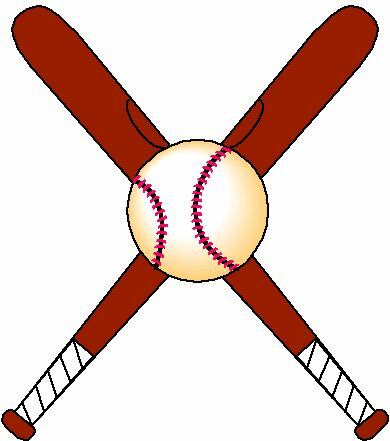 It's not spin the bat, but spin the bottle around the bat and then meet up in the middle and give the opposing person a kiss. 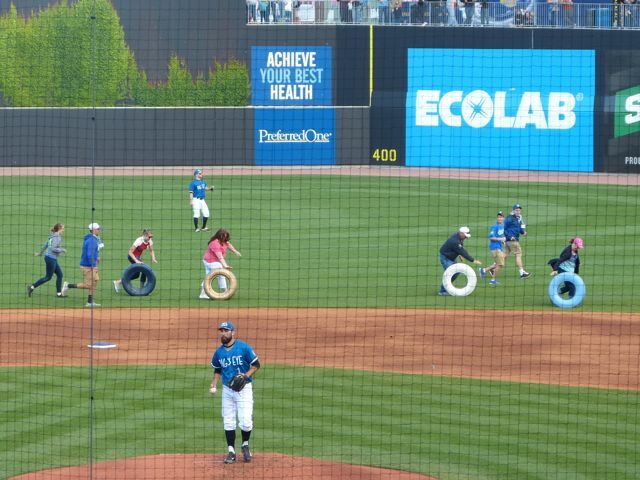 A race from 3rd base to 1st base of two couples who have to pick up a dummy at second and transport it on a stretcher, jumping over boxes and not dropping the dummy. 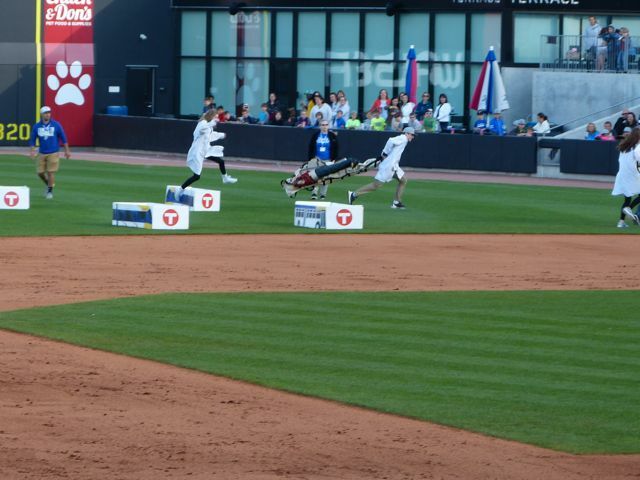 One couple dropped the dummy when the woman dropped the end of the stretcher. 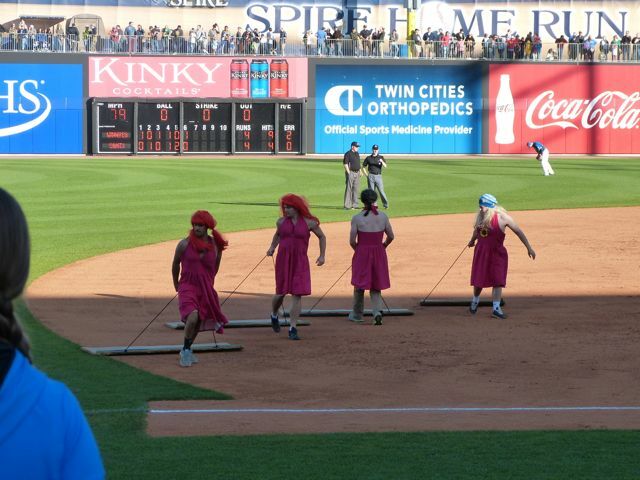 Then the Drag crew comes out to smooth the field dressed "appropriately?". 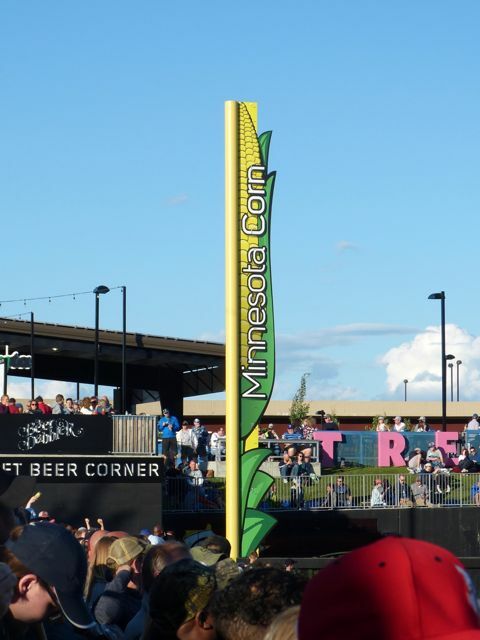 Minnesota Corn advertising on the foul pole. 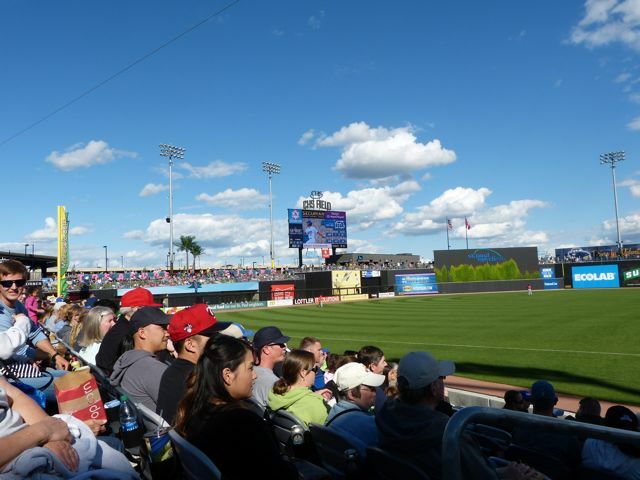 Attendance was 8,228 with the temperature at a cool 67 degrees. 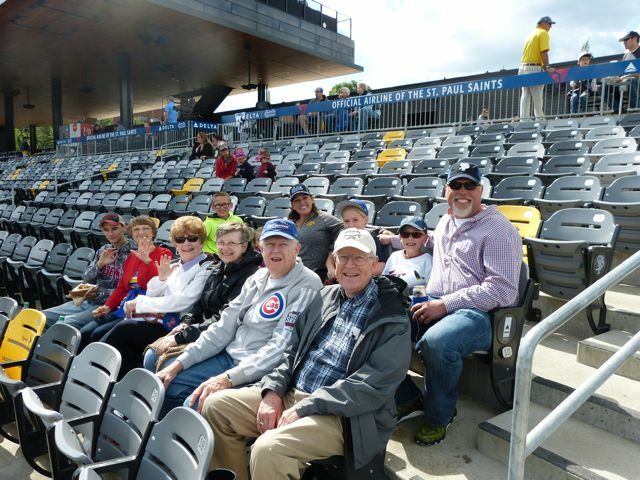 We attended with relatives from the Minneapolis area and Andrea's brother and his wife. 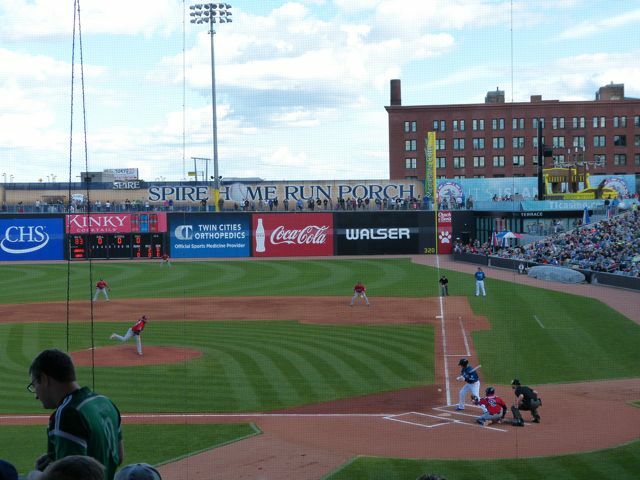 This continues to be a great independent league ballpark to watch baseball.